We’ve been hearing CBD everywhere for quite some time now. They are great for health and a cure for many ailments like depression, epilepsy, chronic pain, inflammation and many more. What’s amazing is that unlike THC, it does not get you high. 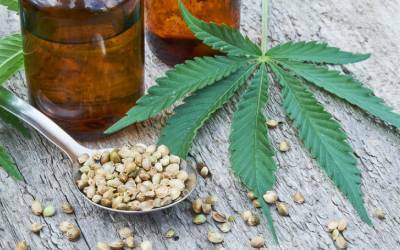 CBD has gotten a major boost with the December 2018 Farm Bill which has legalized the production of hemp thereby opening the floodgates for a legal CBD market. Post this, there have been a plethora of CBD products flooding the market. Now you have products to boost the health of every part of your body. 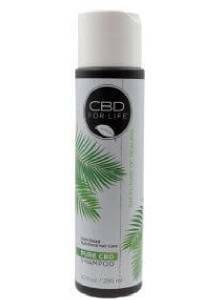 Buy NowCBD For Life Shampoo is amazing for your hair and blends the highest quality of CBD alongside essential oils and natural botanicals. It improves the health of your hair with the right sheen, and also gently cleanses, restores lost moisture, and stimulate and enhance the growth of hair through the scalp’s absorption of the main fatty acids Omega 3, 6 and 9. This gentle, light-weight shampoo is great for daily needs and gentle for all hair types. It can also be used on color-treated hair. Buy NowMilk Makeup brand is known for pushing boundaries with some innovative formulas and this CBD mascara is no different. 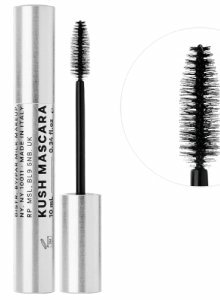 The Kush Mascara gives you lovely, thick lashes which create a look of peak fullness and curling power. The cannabidiol oil used serves as its new, vegan alternative and conditions lashes as you wear it. It gives the formula a creamy texture, making it easier to apply. It gives you extra volume with zero clumps. 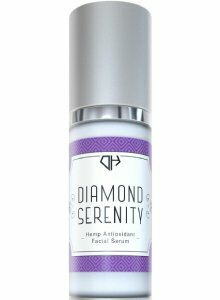 Buy NowDiamond Serenity Hemp Antioxidant Facial Serum is formulated to moisturize, protect, as well as revive your skin. The hemp facial serum is much beyond typical skincare routine. The hemp seed oil can bring your skin to glow and back to life. It’s a completely natural moisturizer and is full of omega fatty acids. They work together to hydrate your skin without the clogging pores. Get significantly clearer, smoother skin with hemp oil on your face. Buy NowCBD Edibles, ranging from hemp oil, gummies or tinctures, can be added to your everyday diet and consumed. When it comes to CBD edibles, the active compound is combined along with other foods you may eat. For this reason, CBD is released slowly over long periods of time and its effects are long-lasting. 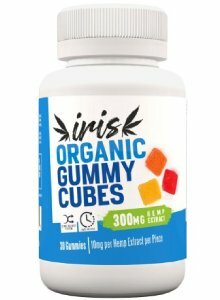 The gummies from IRIS are delicious and come two ways, in the form of honey gummies or gummy bears. With 3mg of full spectrum hemp extract in each gummy cube, these will make your friend’s day full of energy. 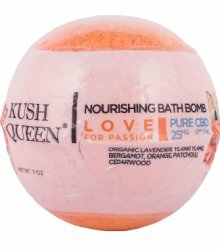 Buy NowThey have a range of bath bombs and we totally recommend this Love Bath Bomb. It was created to up the romance in your life and reduce stress. You will enjoy the soothing benefits of their hand-selected essential oils. All the nourishing bath bombs are hand made with 100% Organic essential oil blends, CBD isolates with no artificial dyes, and lab tested C02 cannabis oil and no preservatives. 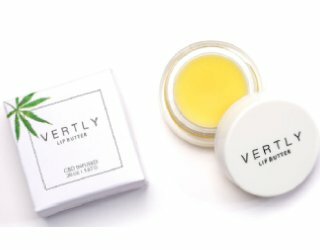 Buy NowLip balm and CBD can be the perfect combination. When Vertly realized this, they came up with this great lip balm with organic and completely natural ingredients like kokum butter, cocoa butter, and shea butter. It can’t get any more buttery than this. The CBD in the balm which is incredibly beneficial for your lips and overall wellness. This is a great product to give you light, fuller and healthy, moist lips. 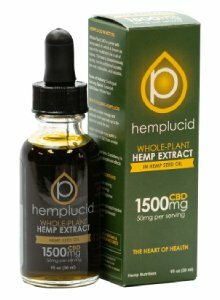 Buy NowHemplucid Hemp Seed CBD Oil contains both Omega 6 and Omega 3 essential fatty acids. It also contains other minerals such as magnesium, iron, potassium, zinc, and calcium. It is enriched with the goodness of whole-plant CBD. The flavor is stronger than other CBD oils, hence you can mix it with a smoothie or soup or you can place it under your tongue. Buy NowThis is sparkling water which has been infused with some choicest ingredients known. 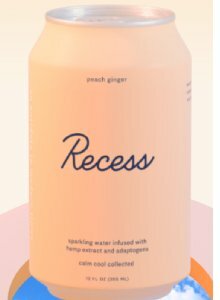 It contains hemp extract and adaptogens. Flavors include Blackberry chai, Pom hibiscus, and other exotic choices. Buy NowYes, CBD is great for your feet too. 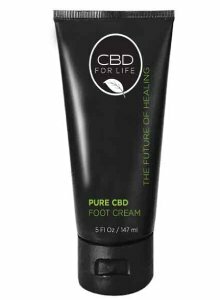 This CBD foot cream delivers gentle and effective moisturizing for your feet. It gives renewed freshness for tired and overworked feet. You should definitely indulge your foot with this foot cream that combines natural oils and a patented German Extraction Method CBD erase away the day’s stresses. For a calming ritual, massage from toes to ankles with circular motions.